This will be our aim in Norway through a variety of activities and learning experiences in the outdoors amongst nature. We aim to do this in camps through a partnership with Uvdal Resort. We have run EU funded courses for teachers from throughout Europe on ‘outdoors experiential learning’. We value reflection and active reviewing activities as an integral part of of our experiences whether camps or expeditions. A camp of five days taking part in outdoor experiential learning whilst achieving the JASS Award and ALL delivered in English, so developing language skills at the same time! This is a recognised Award which has 3 levels of Bronze, Silver and Gold and we would hope to offer the Bronze, Silver or Gold over the 5 days. The Award allows participants to take part and develop four areas over the 5 days – physical activities, interest/hobby, community/volunteering and adventure. The aim of this is as our philosophy above ‘to enable young people to grow and develop’ and gain a worthwhile Award, whilst developing English language skills and having fun. The types of activities on offer will be bushcraft (fires, shelter building, cooking outdoors) , team building and problem solving activities, team games, handicrafts, animal care, fundraising, volunteering and hiking, nature, culture, fishing which will be on the Hardangervidda. There will also be geography, geology, flora, fauna, history, nature etc as added extras. At the heart of it all will be English and FUN! Young people will receive a recognised certificate from JASS at the end as well as a certificate of participation, and on arrival a ‘goody bag’! Accommodation will be in the delightful cabins by the river at Uvdal, and all meals will be provided. We will be assisted by Aud Ashild Bjornsrud, owner of Uvdal Resort throughout the camp. To enquire about our Norway activities you can send an enquiry directly from our website. Irene was a teacher for over 20 years and is an experienced leader in the outdoors. She has facilitated and led groups on expeditions in Europe and further afield with an emphasis on personal development/group dynamics in the outdoors. 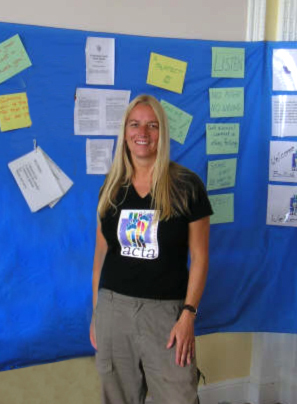 She practices as a counsellor and delivers outdoors experiential courses for leadership qualifications. She is an Accredited Assessor for D of E’s Award, and SML, TCL trained. 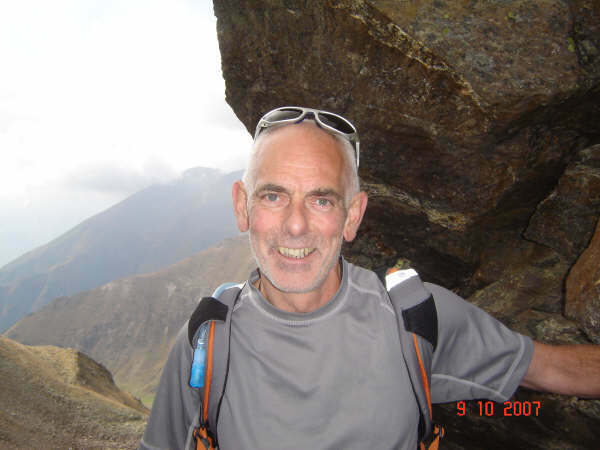 Ally is an International Mountain Leader,Scottish Summer/Winter Mountain Leader and has led groups in Scotland, Europe, South America and Africa. Formerly a geography teacher and head teacher in Orkney with over 30 years teaching experience, Ally has run Basic Expedition Leader courses for Orkney Islands Council. He was also a member of the Outdoor Education Steering Group. He has completed all the Munros at least once! Ally is also an Accredited Assessor for D of E’s Award. Adventurascotland hold an AALA licence (Adventure Activities Licence Award) and an AAP licence (Approved Activity Provider) for operating with groups in the outdoors.